Below you will find some links that show our sublimated gear available for purchase. We also have sweats, a gear bag, headgear, and a cotton t shirt available for purchase. 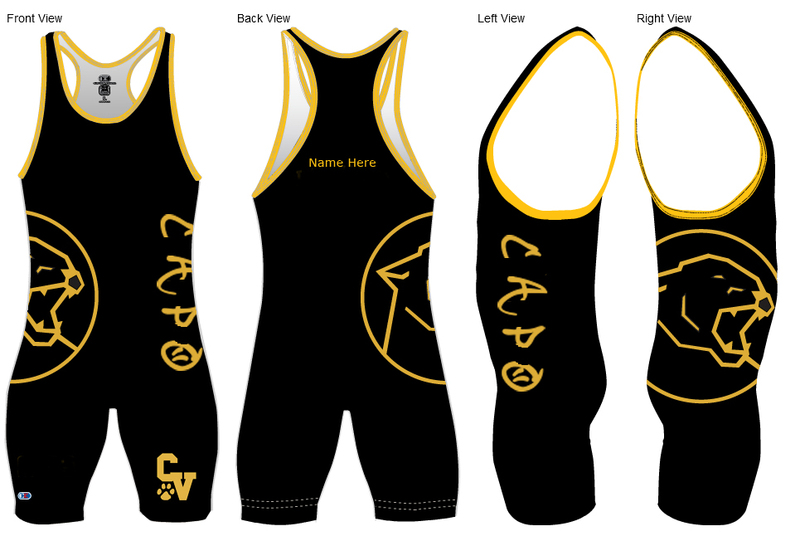 Lastly, you can see a picture of our singlets below. You can order one to keep. It will have your name sublimated on it. Forms can be found under the “forms” tab above.